This section guides you through the styling settings available to you inside of the Stock Notification settings. We created some explanatory pictures that will get you a better overview. 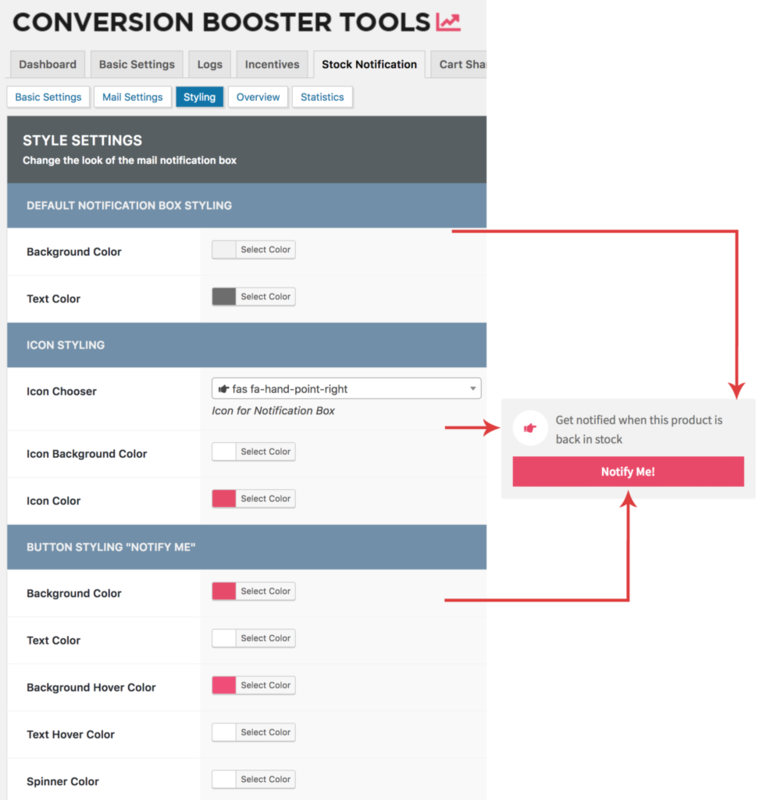 Change the basic style of the notification form visible on products that are out of stock. 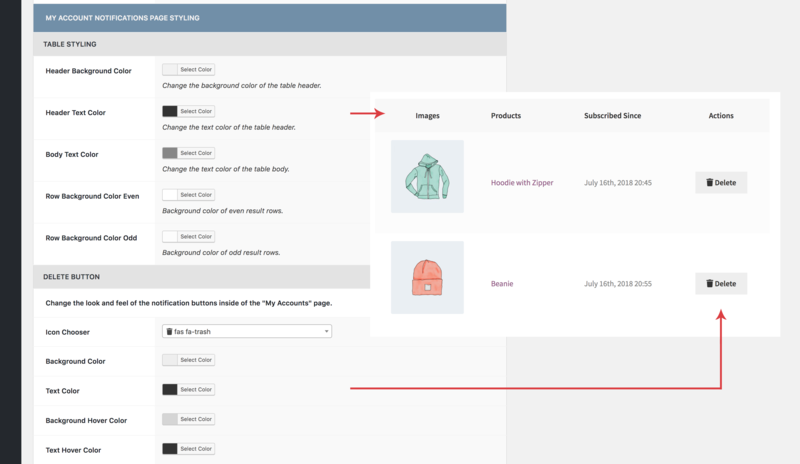 Once a customer subscribed to recieve stock notifications a button gets displayed that leads to the „My Account“ page where he can manage his documentations. You can change the look of the „Manage Notifications“ button and also specify a separate icon that gets shown on the frontend. You can also change how stock notifications get displayed inside of the My Account page. It is possible to change the look of the table in which the current notifications get displayed. Most of the settings are pretty self explanatory. The setting „Row Background Color Even“ corresponds to even rows e.g. row 2, 4, 6, 8. This makes it possible to give each row a different background color. There are two kind of responds messages that get embedded on the product page. Success messages tell the customer or visitor that their stock notification request was sent or activated. Error message show up if security codes don’t match up, notifications are already activated or if any other kind of error occurred. See the example bellow.